As always clicking on any of the above image's will take you to the larger, higher resolution version. Tall bearded Iris "SPRING KISS"
When two earlier Paul Black introductions, ‘Spring Satin’ and 'Goldkist' started going steady it produced an amazing halo Iris . 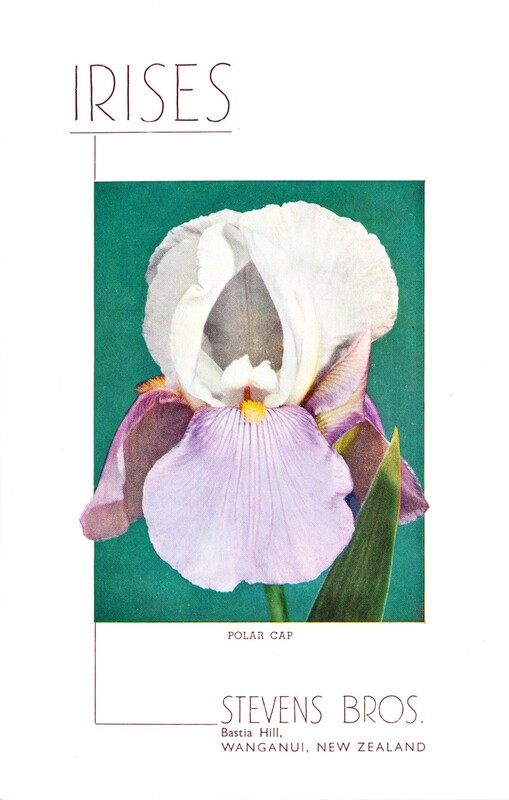 Named after a play on the parents names, "Spring Kiss" was only introduced in 2000 but it has all but disappeared in the Commercial Iris world. Whilst the early blooms are only of a medium size it grows really well for me. Standards colour is a soft violet orchid-lavender, the flaring Falls are pearly violet white haloed in the standards dominant colour, which gives strong carrying power in the garden. The pedigrees of both the parents below show the close bloodlines. 'Goldkist' (Paul Black, registered 1993). 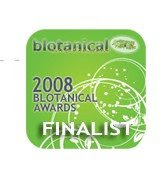 Seedling 89162A. TB, height 36" (91 cm), mid season bloomer. Standards white; style arms white with slight gold tips; falls white, 3/4" wide yellow gold hafts, purple striations between haft edge and bright yellow gold beard; ruffled. 85150A: (('Coffee House' x 'Hombre') x ('Old Flame' x 'Instant Charm')) X 8774A: ('Porcelain Ballet' x ('Tequila Sunrise' sibling x 'Entourage')). Mid-America 1993. 'Spring Satin' (Paul Black, registered 1988). Seedling 85154B. TB, height 35" (89 cm), late season bloom. Standards white with gold halo; falls orchid violet, paler in center, edged darker; deep bright yellow beard; white styles tipped gold; slight spicy fragrance. 83314E: ('Old Flame' x 'Instant Charm') X 83311B: ('Tequila Sunrise' sibling x 'Entourage'). Mid-America Gardens 1989. Available in America from Stout Gardens at Dancing Tree. New Zealand Tall bearded Iris "POLAR CAP"
Just the other day completely out of the blue an Iris friend and colleague in America, Carlos Ayento, sent an email “Here are some photographs of two Jean Stevens introductions: ‘FINEST HOUR’ and ‘POLAR CAP’ that bloomed for me this year. Feel free if you wish to use them on your blog”. The photo shows the falls being a much paler colouration than I would have expected when compared with the cover of the Stevens Bros. Catalogue, but these are the advantages of seeing the real thing!! It is not an Iris I have seen to date growing in NZ, (and in the NZ Iris season I travel extensively throughout both Islands, searching for Historic Irises) so without hesitation it is a privilege to feature “Polar Cap”, and it is with many thanks to Carlos, for the generous use of the above photo. Stevens Bros. Bastia Hill Wanganui 1956-1957 Catalogue. D’Arcy Blackburn, Clifford Street, Gisborne. Mrs Stevens’s, ‘ALPINE MEADOW’ is an interesting new pastel amoena, with white standards and light violet falls similar and colouring and form to ‘STEP UP’ (Muhlestein) but possessing more finish and a taller, better branched stalk. ‘POLAR CAP’ (Stevens) also a pastel amoena, has a much better form than the two above, but the colour in the falls is too pale to be effective as we saw it. POLAR CAP (Stevens). From the creator of fine yellow amoena’s comes the sparkling white and light Lavender-blue addition to an already illustrious line. Smooth with good substance and branching. Similar to ‘Step Up’ and ‘Alpine Meadow’, but superior in texture, colour and branching. Many blooms on 36 inch stalks. 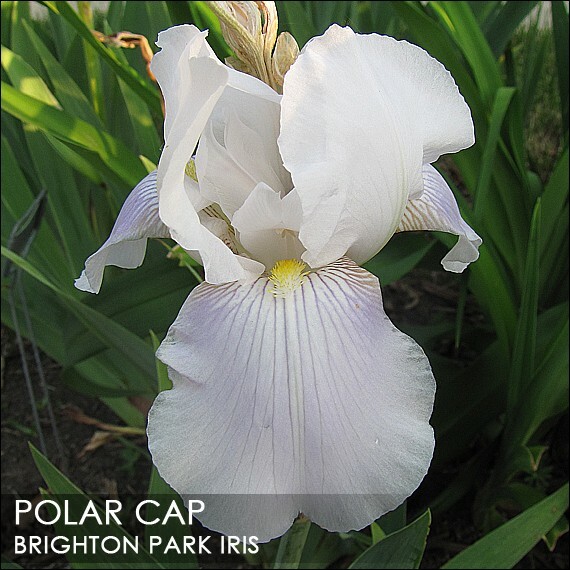 Once again I would like to give a large hat tip to Carlos Ayento, the Web-master of the brilliant Web Site “Brighton Park Iris”, he is also the Historical Iris Preservation Society, Databank Chair. One thing I will always strive to do when putting articles for this blog together, is to allow all New Zealander's to see the introductions of Jean Stevens, some I have not yet seen growing in New Zealand, but hopefully they are still been grown with lost ID (the later is my much preferred option). Fortunately for New Zealander's some of these Irises are still growing in collections in International gardens, so we get to see what we are missing or what to be on the look out for. There is also a forlorn possibility that photos of ‘Polar Cap’ and other New Zealand bred irises are in a collection of the New Zealand Iris group and possibly have been there for years,but are only for members viewing which is a pity.